It would be helpful if a short description of the malfunction could be written. 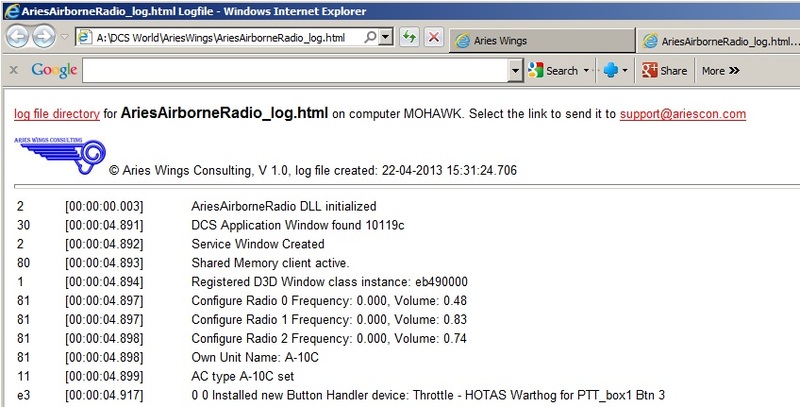 All Aries Wings applications produce a log file which should be attached to the e-mail. The image to the right shows a typical log file. There is a link in the header section which produces an e-mail form automatically.